From safety to advances in Tesla power, advances in MR technology continue to raise questions about its limitations and use, and what innovations lie on the horizon for it. All the hype around MR in late February was directed at researchers from the University of Minnesota, when it was revealed that they had performed the world’s first 10.5 Tesla scan on a human. Designed by Siemens Healthineers, the machine is equipped with a 110-ton magnet and “promises to produce scans at a finer level of detail,” according to UM’s Center for Magnetic Resonance Research. Work on constructing the modality began in 2008, with the first system installed at UM in October 2017. Liquid helium helps keep magnets at a temperature below 10 Kelvin, enabling them to be superconductive, a crucial component for ensuring correct scanning takes place. The leaking of this element, though, can be disastrous – not just to magnets, but to humans, leading to severe frostbite and burns, as well as dizziness and asphyxiation. That’s why hazmat professionals were called in to JFK Airport back in February when a damaged MR machine began leaking the colorless, odorless vapor. The machine in question “was being transported, fell, and was punctured” and began “leaking helium refrigerated liquid,” Joe Pentangelo, senior police public information officer at JFK, told HCB News at the time. 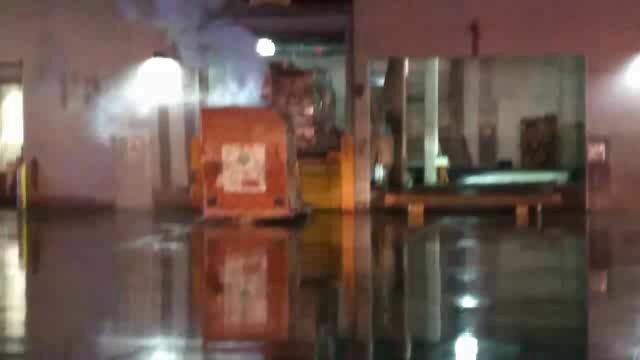 Using a forklift, personnel moved the scanner outside and called in Port Authority Police Department emergency services and fire crews. The spill was cleared at around 9:30 p.m.